1. Line a pie pan with parchment paper. 2. Blend all Crust ingredients in a food processor. Press into pan. Chill in freezer. 3. 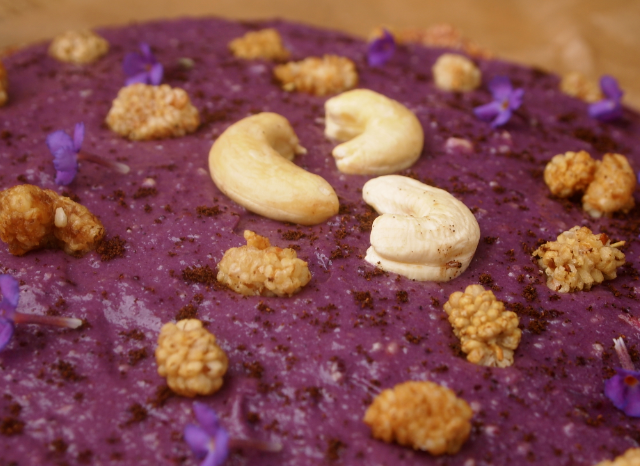 Blend Cosmic Filling, scoop evenly onto crust, top with Mulberries, and set in freezer for at least 1 hour. Slice it up... feel the glory!